If anyone remembers, I reviewed a short story titled The Gate of Time a while back and I really liked the author's style and ideas. Well, I as luck would have it, the author, Stefan Bolz, happens to run in some of the same online circles I do. He's been talking about his new book The Fourth Sage (out on Kindle on June 15th and in paperback later this month) for a while and the early readers have extremely good things to say about it. I must confess that the only thing I know about The Fourth Sage is it has a talented writer and a slick cover. 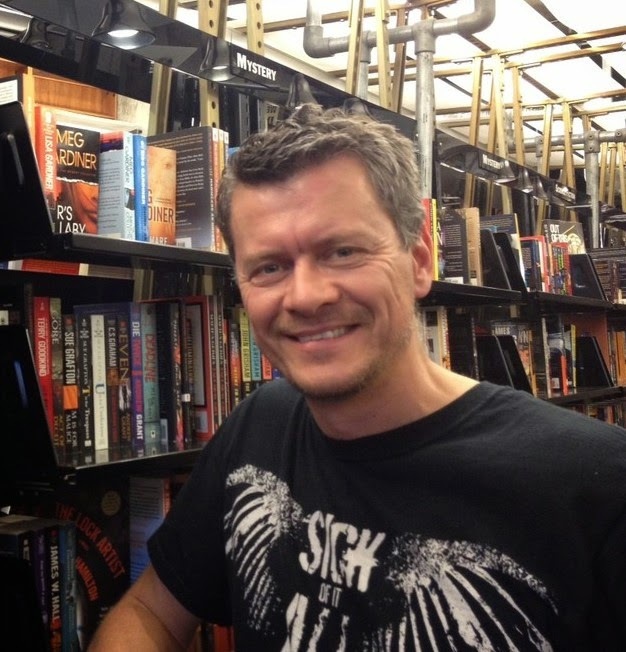 I asked Stefan to answer a few questions for me so my readers could get a feel for who he is and what his new book is about. Thomas: Stefan, tell us little about yourself and the type of books you write. Stefan: Hey Thomas, thanks for having me. I find this circle of indie authors we both are in a really great bunch of people. Very supportive. So, thanks, again, for having me. To answer your question, I started to write when I was seventeen, back in Germany. I had an idea of a book about this seventeen-year-old kid (haha) who was being drafted into the military, like it is still customary in Germany today, but when he went to the train station to travel to his boot camp location, he was stopped by this agency and planted onto another train that brought him to this secret spy school where he learned all this amazing spy... stuff. I definitely read too much Robert Ludlum, Alistair McLean and Ken Follett in my youth. I never finished the book but the spark, buried in a dark corner of my mind for twenty years, was still there. When I came to the U.S. from Germany in 1996 and went to college, I began writing. First, there were screen plays. One of them came very close to being optioned. There were four of them, all in all, I think. Then there was a poetry and essay phase during which I did a lot of soul searching, caused by a break up with my ex wife, move, different job, etc. In 2012, I wrote The Three Feathers, a fable. I'm not a fable fan at all. I don't really like fables. I like Sci/Fi and Fantasy - Lord of the Rings and such but this fable changed my mind a little. The circumstances under which I began writing it were very... strange. It's a long story but at the end of it all, I had published my first novel, almost 30 years after I started my first one. The Three Feathers brought forth ideas for five more novels, including a sci/fi thriller trilogy named The Fourth Sage. Thomas: What is The Fourth Sage about, and what influenced you during the writing of the book? Stefan: It's about herbs, you know. Parsley, Rosmary, Thyme. And gardening. And Simon & Garfunkel songs. I had an idea about this girl, around fifteen years old, who lived in a super high rise in a society where there is no privacy at all, no schools, no government and only the bleakness of a corporate owned world where you can buy bits and pieces of freedom here and there but nothing is real. Aries, the heroine, hacked into the mainframe and looped her room cameras so that, for one hour per night, she could roam the air ducts of her building. That's her hour of freedom. That's her way of rebelling against the corporation. But her game becomes dead serious when she finds something there that has the power to change her fate and that of everyone around her. But you know how it is, once you know the secret that can change things, you're screwed. So she is now being hunted by the A.I. software and drones and what not and she slips through the surveillance web and flees ever deeper down into the belly of her building. And there, she comes across a group of children. They are filthy and in bad shape. Turns out the corporation had abandoned them a few years back on a bunch of rotten floors way down in the building. But they are gifted. They are highly intelligent kids who don't fit into the corporate mold and they were just waiting for Aries because they needed a leader really badly. So now the corporation is after them with drones and androids and such and the kids have to somehow turn the tides and topple the giant before they all get killed. I'm not sure what influenced me during the writing but I was thinking a lot about what would or could happen to our society in, let's say, fifty years, if we don't interfere. Will we all be owned by corporations? Will the school system be based on corporate needs? Will most of us be modern slaves? So, that influenced me a bit. But also, the question of what happens when your destiny is revealed to you all of a sudden. You're just doing your thing and suddenly something happens that pushes you into the spotlight where you have to become more than what and who you are? What would you do? Would you grab it or would you shrink from it. I know I would probably be terrified. The thought of selling 1,000,000 books sends cold shivers down my spine. Someone once said that we're not afraid of failure but of success, not afraid of hatred but of love. Those kind of questions influenced me during the writing, I think. Thomas: If you are like me, you have trouble classifying your books, readers of what genres do you think The Fourth Sage will appeal to? Stefan: I'd say there's some Young Adult in there due to the heroine being fifteen years old. But it's not a Young Adult book per se as the main focus is not on a romantic love story. There is one but that's not the focus. There is a returning question that, like a thread, weaves through the story. Someone tells Aries relatively early on that she is the pebble that will start the landslide. And throughout the story, there is this question in her mind: what happens to the pebble when the landslide starts? It doesn't look good for the pebble, does it? So, there is a slightly spiritual theme in the book, besides the action, as it touches on things like how far someone is willing to go in order to make the necessary change happen. Would you die for your cause? Would you give up your life so that others can live in freedom once more? I think the book will appeal to a relatively broad audience (of course that's every author's wish, haha). Thomas: What do you want readers to remember most about The Fourth Sage after they have read it? Stefan: You know, when I wrote The Fourth Sage, I had no clue how it would end. I was, in fact, riddled with doubt throughout the writing of it. There was not one single day during which I didn't want to stop writing. Thank God for lap tops because if I would have had a manuscript written on a typewriter, the book would not have been done. BUT when I came toward the end, it was almost as if a curtain opened and I looked into a vast, beautiful landscape. It was completely unexpected. It brought all the threads together and it went beyond any ending I could have possibly imagined. It was astounding. I cried for a few hours after I had completed it. It also opened the doors to more material - two sequels at least. I think the ending is what readers will (hopefully) remember the most. Thomas: Quick, name three classic books and three contemporary books you think everyone should read (excluding your own, of course). Stefan: I grew up with Grimm's fairy tales and I'd recommend reading them - just to get the juices flowing - and to find out why Disney is just WRONG :-). Is Ender's Game a classic? If not, I'm sure it will be. I'd recommend it for sure. I've read Tom Saywer and Huckleberry Finn and loved it. Jonathan Livingston Seagull by Richard Bach is one of my favorites. A tiny book with a big impact, at least on me. Then there are my favorite books of all time: The Farseer Trilogy by Robin Hobb: Assassin's Apprentice, Royal Assassin and Assassin's Quest. I'm reading them every few years. Those are an absolute treasure for high fantasy lovers, I think. Stefan: Hey Thomas, thanks very much for having me. I hope the answers weren't too long. It was a pleasure chatting with you. Much luck with all your books as well. 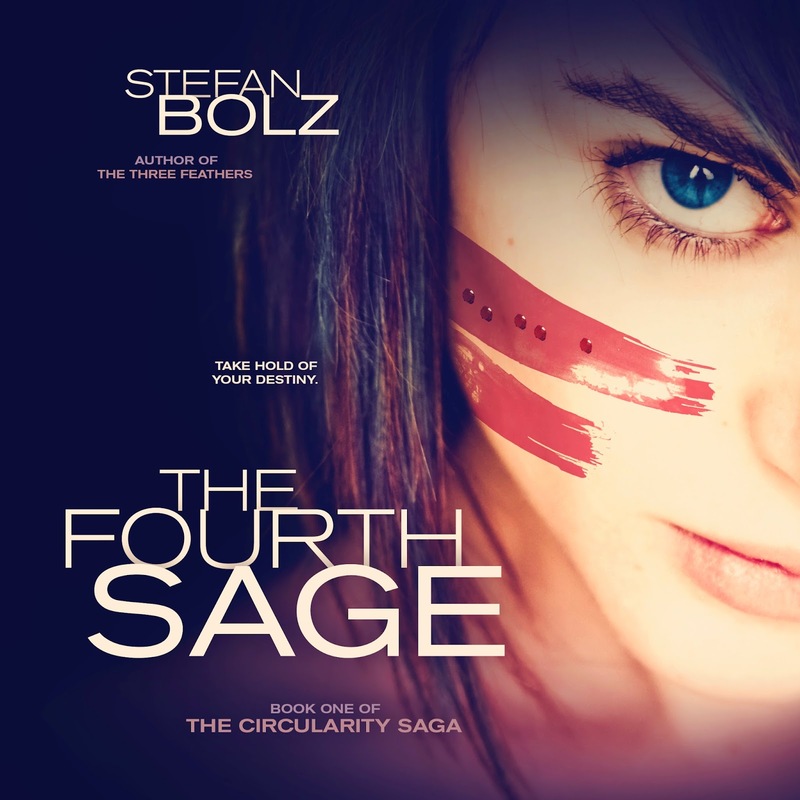 Readers, check out Stefan Bolz' Goodreads page for more information about The Fourth Sage and his other publications.